I don't know why Samsung opted for curved screen edges in the Galaxy Note 8. This devices was designed to be used with a its accompanied S-Pen Stylus and I think that a flat display provides a better writing experience. When you hold the phone in your hand you don't want your hand to obscure part of the screen in this case, the edges. It's like holding a notebook, you want the writing area to be flat while the sides being comfortable to secure its hold. I've read some comments about people saying that having curved display makes the phone more comfortable to hold and it makes the phone look better, oh well. The Note 8 has more flat surface area to write on compared to the S8, but the S8 isn't Stylus oriented device. I also don't like the distorted appearance of the content of the screen as it wraps around the edges. 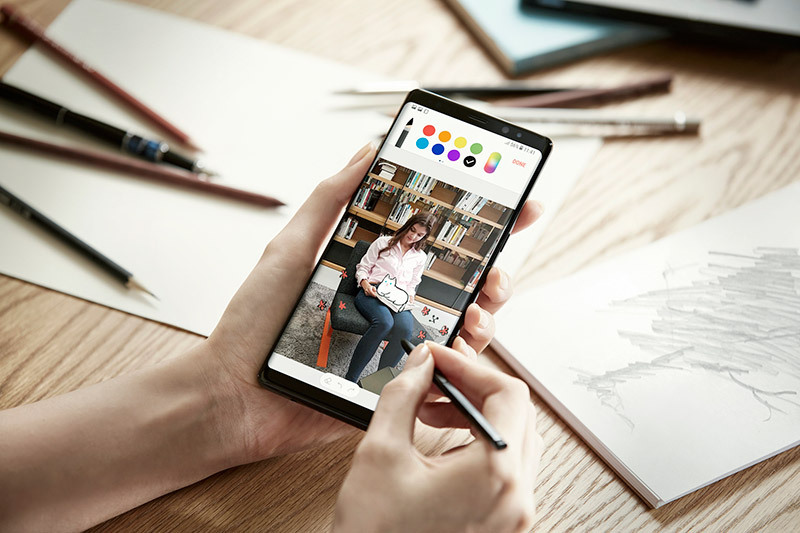 I really see it as a bad design and I wish Samsung would ditch those 2.5D and 3D screens out from its Note-series phablets. I've been using both curved and flat phones, and I always prefer the flat ones. Even LG has decided to not include a curved display in its LG G6 smartphone. According to androidauthority.com, the main reasons are that it makes the phone harder to hold and it can lead to more tension and tiredness when holding the phone for a long period of time. Another reason is that curved displays become easier to crack if the phone falls down on one of the sides. Another reason not to favor curved-edge displays is that you can accidentally tap on the curved side and trigger some functionality that you haven't intended to use. I also think that curved screens are a wacky gimmick and because it makes the phone look more unique, futuristic and cool, people opt for that design, but they do ignore the usability issues. We can't ignore that 3D curved displays add some functionality lie the ability to add shortcuts to quickly launch apps within other apps and other type of advanced features. The thing is that that added functionality isn't really that useful and contributing to anything really significant that will make its pros outweigh the cons. This is my opinion and I do think the Note 8 would be better with a flat screen than a curved one - What do you think?